WIll Wuaki Spell the End of Lovefilm and Netflix? 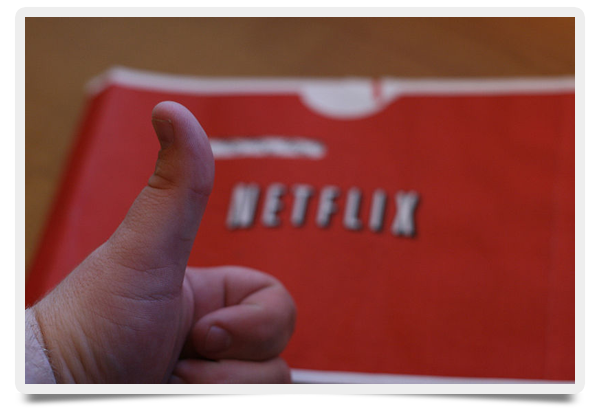 Broadband News » Entertainment » WIll Wuaki Spell the End of Lovefilm and Netflix? For a long time, heavyweight companies such as Netflix and Lovefilm have enjoyed uncontested dominance as the most popular movie and TV streaming services in the UK. The recent arrival of Wuaki, however, could change all of that in the blink of an eye. If you’ve never heard of Wuaki before, then you’re not alone. Make no mistake, though: Its UK launch has serious implications for its more established rivals. Owned by e-commerce giant Rakuten, which is the Japanese equivalent of Amazon, the new kid on the block has made its intent clear by announcing that — like Netflix and Lovefilm — it will offer unlimited streaming for a monthly subscription. Unlike the aforementioned companies, it will also offer members the opportunity to rent and buy the very latest film and TV releases. By offering members an opportunity to watch the latest films and shows a year in advance of their rivals, Wuaki has hit what many regard as a winning formula which will fill a gap in the UK’s online streaming market. The service already boasts thousands of hours of movie and TV content and is adding new titles on a regular basis. Wauki has also formed partnerships with major Hollywood and TV studios to ensure its titles are kept up to date. To make its intent clear, the Japanese-owned company is promoting its launch with a special £2.99/month-for-life discount this summer for new users. In the future, the normal subscription fee will be £5.99, the same as Netflix, but £1 more expensive than Lovefilm. The UK’s population loves to watch TV and movies online. Lovefilm and Netflix, however, currently offer only a limited selection of films which are usually at least a year old. Those companies are operating at a disadvantage when compared with Wuaki. Yes, consumers will have to pay additional costs to watch the latest releases such as Lincoln and Oz The Great and Powerful, and yes, Wuaki currently has a limited catalogue and is not yet available on tablets. It’s still very much early days, however, and plans are already underway to change the aforementioned criticisms. In an ever-increasing and competitive marketplace, abundance of choice could be key to becoming the UK’s number-one streaming service. By offering its users the option to watch exactly what they want to watch, when they want to watch it, through both a traditional subscription and a la carte model, Wuaki looks likely to force its UK competitors to either adapt and keep up or risk going under.